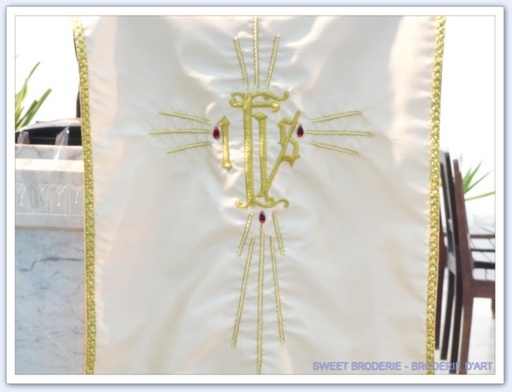 SWEET BRODERIE makes custom vestments (stoles) or linen altar . 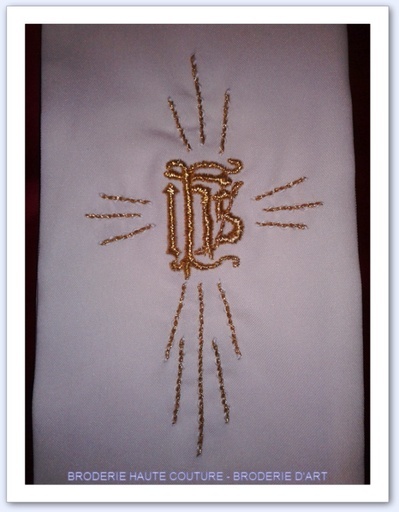 Sail Ambon custom with the Greek monogram "IHS" embroidered. 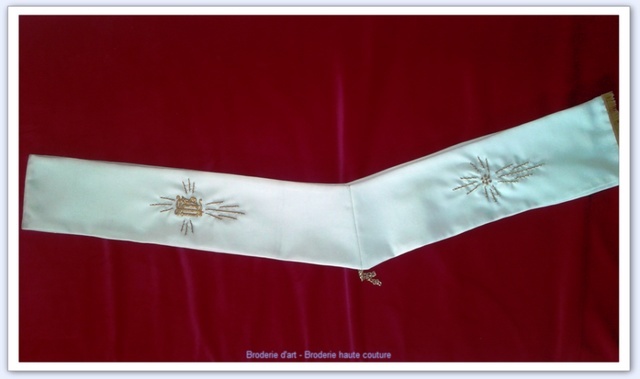 100% Polyester Fully lined ecru with gold edging. 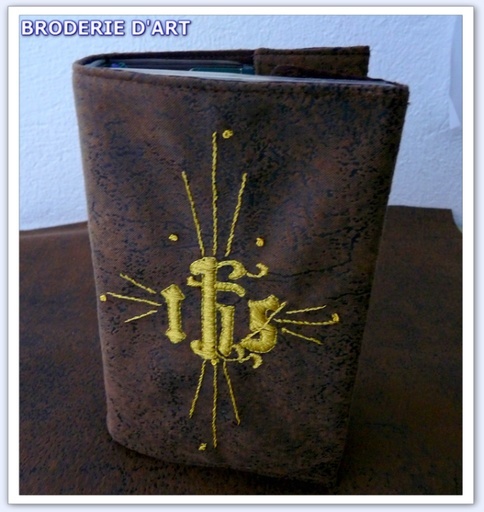 Breviary Cover Imitation leather leatherette fabric, fully lined crepe brown satin. 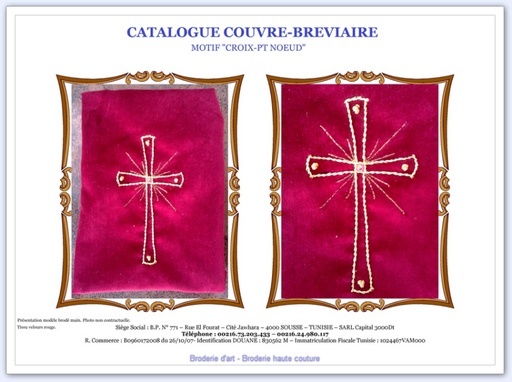 Traditional hand embroidery: flat wire fill past gold, gold wire stem stitch doubled. 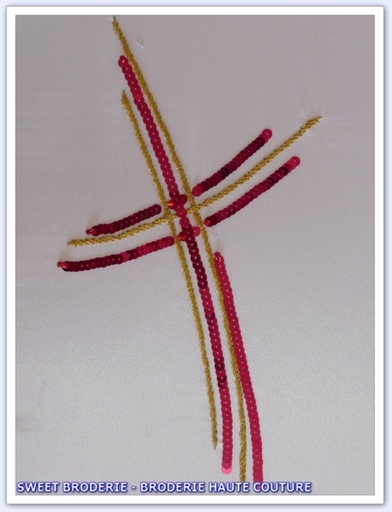 Gold embroidery: node point with gold purl. 1OO% unbleached gabardine, fully lined. 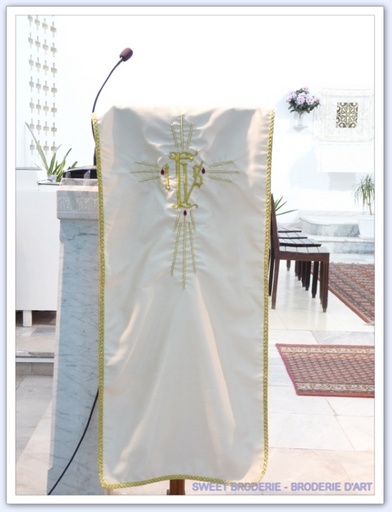 Attaches to the side by a golden chain. 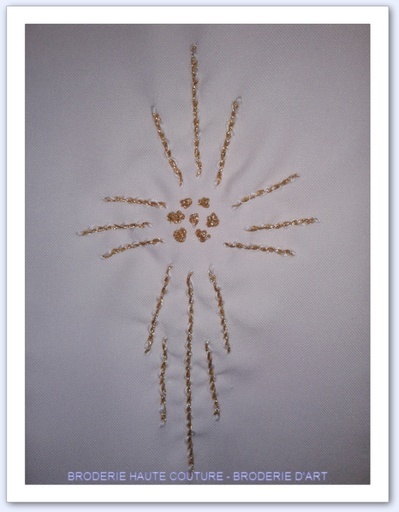 Completed by a band of gold fringe. 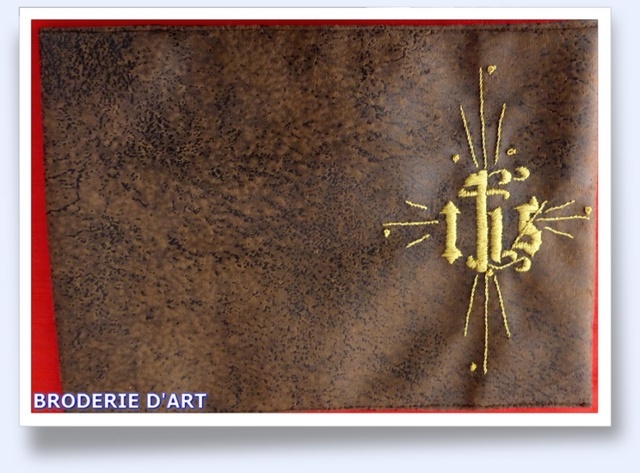 Width 14 cm. Length of measurement. 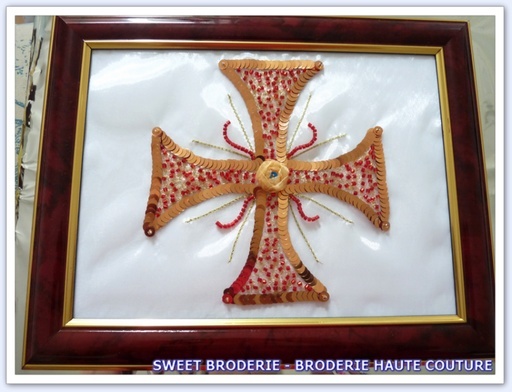 Heart side: the monogram "IHS"
Netherlands: Modern Cross with gold embroidery (point Cannetille seed with gold) and stem stitch, gold thread. Stem stitch over DMC White for 3D printing.